Ghost Nest – Amazing Freelance Gig! 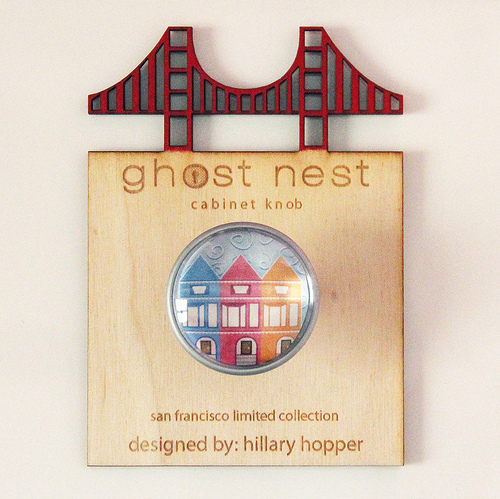 I had the great opportunity to design 12 pieces for a SF theme cabinet knob collection for Ghost Nest. I was contacted over a month ago to design the set and I immediately took the project. It was a great freelance opportunity and something that was not apart of my day to day design routine. Reid Evans (CEO) was such a pleasure to work with and gave me so much freedom with the designs. I really felt like I had more freedom than any other client I have ever had. It’s so rare to land a project like that. I took a lot of inspiration from spending time in the city myself and also played around with lots of different colors. This project was a great outlet for myself to experiment and be a little bit out of my element. I certainly felt really challenged at first, but after awhile It became a lot easier to design. 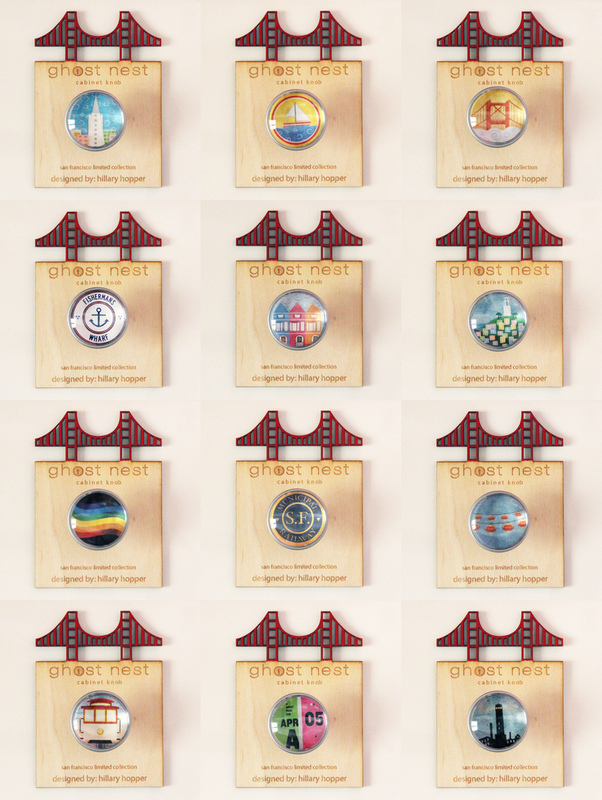 I also designed the wooden Golden Gate Bridge display. 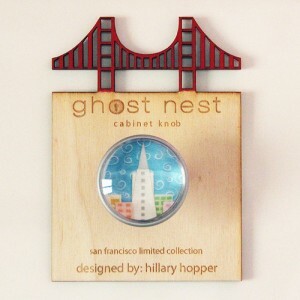 Reid came up with the concept and also cut it out with a laser cutter. It’s a really pretty display! These knobs will be sold in select stores in San Francisco including Cole Hardware. You can also purchase them on Ghost Nests website. This is a great startup and the people are really great to work with. I strongly suggest supporting a startup with a lot of potential like this one. It’s great to work with people who have creative goals and mindsets. I would do another collection with them in a heart beat! I could tell Reid really had everything put together the moment I started corresponding with him. It’s people like these that are gems. Thank you for the great opportunity Reid and hope to continue these fun projects together in the future!